Great shopping is all about finding excellent products and knowing that you got an awesome deal. With the ever-growing online shopping industry, this is becoming easier and easier to do, if you know where to look. That is why we decided to put together this list of the best online shopping sites. You will be able to take advantage of the great deals out there without having to spend hours scouring the internet. Also, if you are shopping for a specific someone, check out our list of the best gifts for men and our list of the best gift ideas for women. We have you covered when it comes to finding and giving the perfect gift. Amazon is arguably the most well-known online shopping website out there, and for a good reason. You will be able to have access to what seems like a limitless warehouse of products. Also, if you are a Prime member, you can get pretty much anything in two days with no shipping fee. Amazon has revolutionized the online shopping experience and continues to do so moving forward. Are you interested in searching and competing for great deals? eBay will allow you to do this with their bidding format. If you have the highest bid in an auction (when the reserve is met), you will walk away with the item. Some items also have the option to “buy now” for a set price. If you have some time on your hands and are willing to do a little work for your deal, eBay is for you. Rakuten (previously known as buy.com) is an online shopping experience that branches into a variety of areas. You can shop for clothing, electronics, toys, and so much more. They offer the ability to search for a specific product, but they also offer daily deals that you can save on as well. These daily deals will allow you to get maximum savings. So make sure that you are regularly checking out Rakuten and all of the daily deals that they offer. Shopzilla is a little bit different from other shopping websites in that it doesn’t sell a product like some of the other sites. Instead, it merely helps direct you to a company that is offering a deal on the item that you are looking for. That way you can compare multiple companies all at the same time and find a great deal. Compare and save with Shopzilla for some great online shopping. 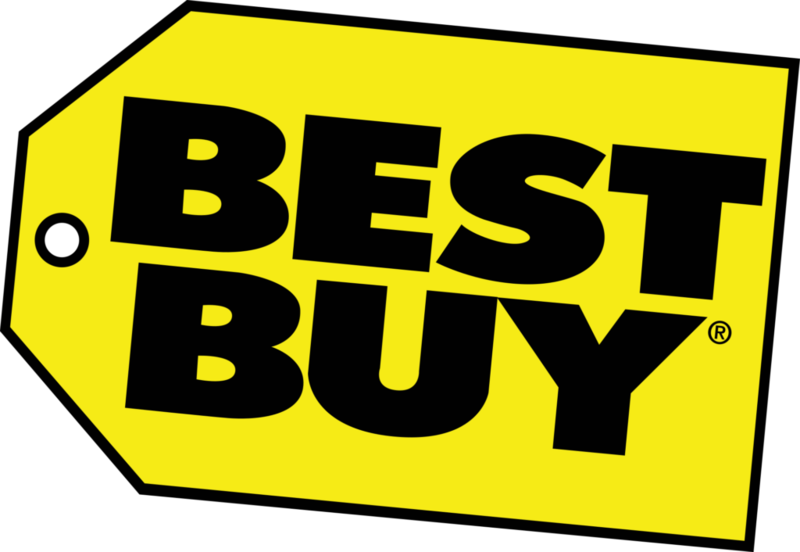 Best Buy is one of the world’s largest consumer electronics retailers. They have brick and mortar stores, but their online store is where it is at. Billions of visitors use BestBuy.com to find the electronics that they need. With a massive inventory of products, you will be able to find whatever you need when it comes to electronics. Overstock is going to offer some significant savings. They will allow you to take advantage of companies that have overstocked on inventory and are not able to get rid of it. That companies overstocking mistake is going to become your blessing as you will be able to purchase these different items at a drastically reduced price. So for some serious savings, make sure that you check out Overstock.com. It would be pretty surprising if you hadn’t already heard of Walmart. However, you may not be fully aware though of the significant savings and features that they offer online. You will be able to shop for everything that you need from Walmart, all from the comfort of your own home, and 24/7. Walmart also offers free 2-day shipping on eligible orders over $35 as well. Walmart savings plus the convenience of being able to shop online is a game changer. A global marketplace for unique, special, and extraordinary items, Etsy exists to help connect small sellers with the rest of the world. If you are looking to purchase something that was created with a human touch, Etsy is the place for you. Vendors offer items like clothing, home and living, weddings, and so much more. For even more Etsy, make sure that you visit our list of the best Etsy shops. It shouldn’t be a surprise that Google offers a shopping tool that made this list. We just want to make sure that you are taking full advantage of it. The Google shopping feature is going to allow you to quickly search for a specific product from vendors located all over the world. A lot of the stores on this list will actually show up in the search with their best option of the product that was searched for. Google Shopping is going to allow you to pretty much search the entire internet for a product all in one place. Primarily a shoe website, Zappos also offers some great clothing options as well. Their recent partnership Amazon has also allowed them to take their shopping experience to a whole new level as well. Finding your favorite brand, style, size, color, etc. has never been easier. With all of their great products and savings, Zappos will have you looking good and feeling good. When it comes to buying anything home related you have to start with Wayfair. Your favorite brand names are going to be up to 70% off with free shipping. Wayfair makes it easier than ever to decorate your house with the furniture and pieces that you want. So if you are in the market for updating your home, make sure that you check out Wayfair. With buyers from over 190 different countries, Alibaba is a worldwide marketplace. They offer over 40 different product categories like electronics, machinery, and apparel. This large selection of items will allow you to find great wholesale deals regardless of where you are. As one of the largest online stores in the world, Alibaba was a natural choice for this list. Bonanza was built by entrepreneurs for entrepreneurs. They exist to provide a marketplace where entrepreneurs can connect with potential customers. Featured in Time and on CNN, it was also voted most recommended marketplace in 2016. The site offers categories like fashion, home and garden, health and beauty, and much more. Bonanza will allow you to buy and sell different products and will provide a great experience while you do. This online shopping site may not appeal to the shopping masses. However, if you love vintage, unique, quality items, Rubylane is for you. Rubylane offers antiques, fine art, jewelry, furniture, and more. The site is going to allow you to be able to find some really unique pieces. Also, with a large number of private sellers, you can check back regularly for new items. For everything electronics related, Newegg is going to be your go-to destination. Computers, gaming, and everything else electronics related that you can think of highlight what Newegg has to offer. They also offer a price match guarantee and free three-day shipping as well. All of this is going to allow you to have a great shopping experience with Newegg. When it comes to online book shopping, Barnes and Noble is a no-brainer. 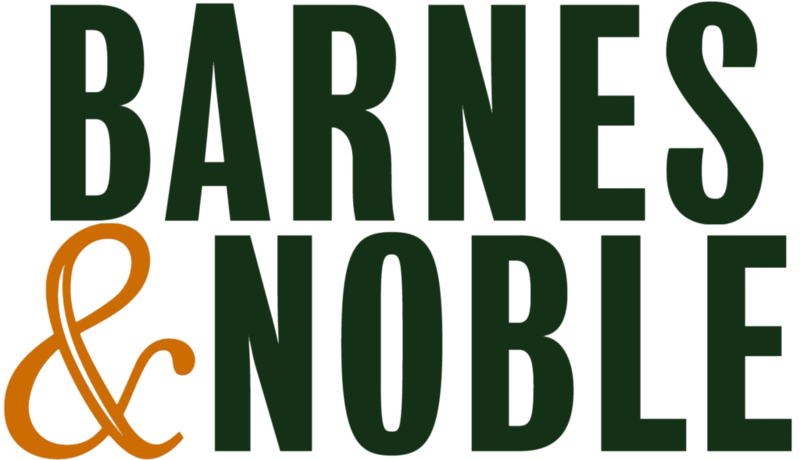 Barnes and Noble is the largest online bookseller and has over 1 million titles in stock for immediate delivery. Their book search engine also is going to allow you to find books by title, author, or keyword. Along with books they also offer toys, games, hobbies, collectibles, movies, and more. There is most likely a Macy’s at your nearest mall, but now imagine having access to all of that at your fingertips 24/7. You will be able to find whatever you need whenever you want from Macy’s vast selection of brands. You can also sign up for Macy’s Star Rewards to get added deals and free shipping. Created in 2004, eCrater was designed with both seller and shopper in mind. Sellers can quickly set up a free online store in minutes and begin selling items. While shoppers are able to search through products and narrow down their search by category, price, and more. Checkout eCrater for some excellent online shopping. Smart Bargains is going to feature luxury brands like Gucci, Movado, and more. With a lot of fake merchandise floating around online, you may be hesitant to buy certain name brands. Smart Bargains will give you complete shopping peace of mind though as they stand completely behind the authenticity of the products that they offer. So if you are looking for high-end merchandise at a fair price, Smart Bargains is a great choice. Ebates is not your typical online shopping website as far as this list goes. It was worth adding to this list though because of the deals that it allows you to get through rebates. You will be able to take advantage of rebates that are already being offered without any extra effort. If you shop online on a regular basis, signing up for Ebates is a must. It is free money back into your pocket. Similar to Walmart in that you have most likely already experienced a Target store, their online store is worthy of its own recognition though. With excellent products and unique online discounts, you will be glad that you spent time shopping Target online. Throw in free 2-day shipping on eligible purchases over $35, and you can’t go wrong. Woot is all about trying to find you the best deal possible. The only problem though is that the deal only lasts for a day (or a couple of days with Woot Plus). If you enjoy hunting the deal, Woot is going to be a must try shopping website for you. Ever wondered if you could trust the deal that you were seeing online? Well, with Bizrate you can see the feedback left by the previous customers of those sites. This feature will help keep you safe from scams and fake products online. Along with being able to see ratings of online companies, they will also help you find great deals as well. Bizrate is an excellent tool for the consumer that enjoys researching a product before purchasing. Shop.com was in their words, “designed to be the most comprehensive shopping experience on the web.” Their goal is to provide their customers with everything that they need in one place. The website is going to allow you to see similar products side by side which will allow you to compare and save. They also offer several other shopping tools to help you make a better-informed decision on your potential purchase. Price Grabber allows you as the consumer to quickly search and compare millions of unique products and services. Being able to compare so many products side by side allows you to take advantage of great deals quickly. So if you enjoy researching and comparing products, Price Grabber is going to be an excellent online shopping option for you. More and more retailers are focusing their attention on online sales. So it is vital that you know where to go to discover the deals. This list was designed to be your map to online shopping savings and great products. With this list and the variety of shopping sites that it provides, you should be able to find pretty much any product you can think of as well. From clothing to electronics to antiques, this list has you covered. We would love to know your feedback on any of these shopping sites. So if you have experience with any of them, please leave your feedback in the comments below.